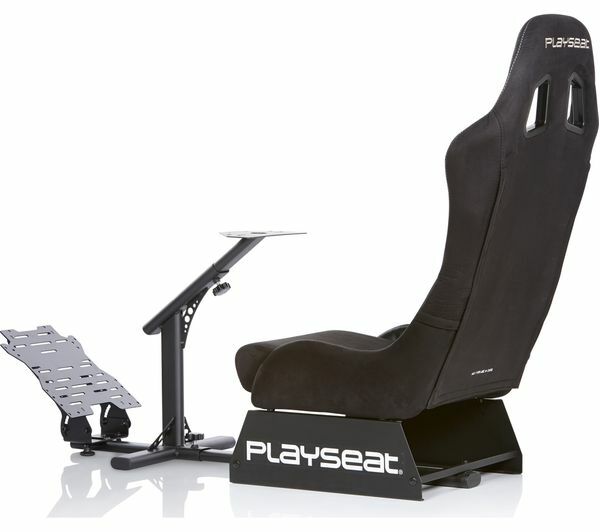 Sink into a real car seat as you get comfortable in the Playseat Evolution Gaming Chair, helping to immerse you into the world of racing. 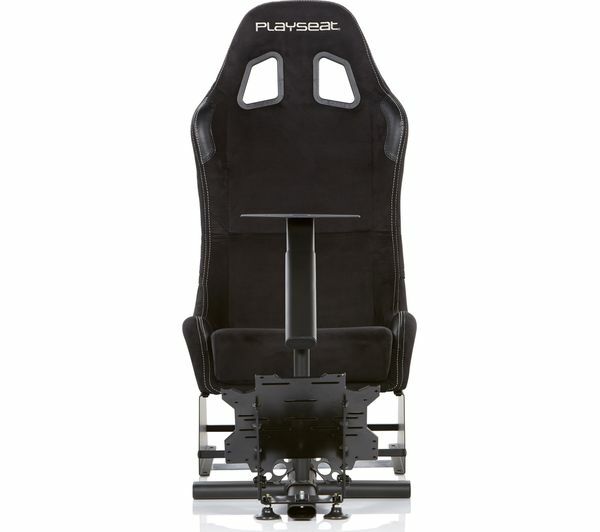 Whether you're an experienced racer or just getting into gaming, the Evolution is fully adjustable to help you take the step up to the next level. 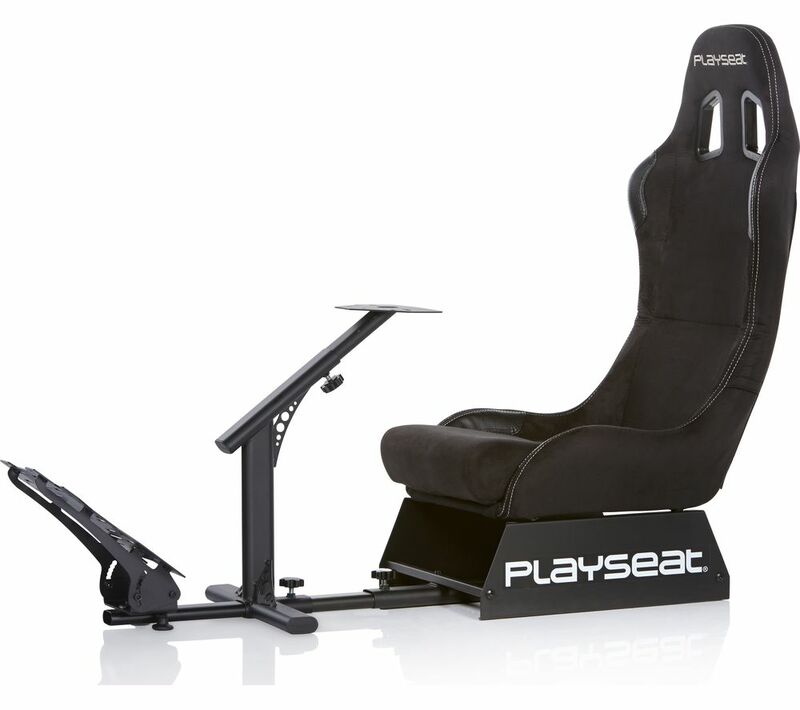 There's no need to compromise with the Playseat Evolution - it is compatible with all modern consoles as well as PCs and Macs. In addition you can also use it with every steering wheel and pedal set on the market, so the choice of set up is completely yours – included screws help you secure whatever set up you choose to the seat mount. 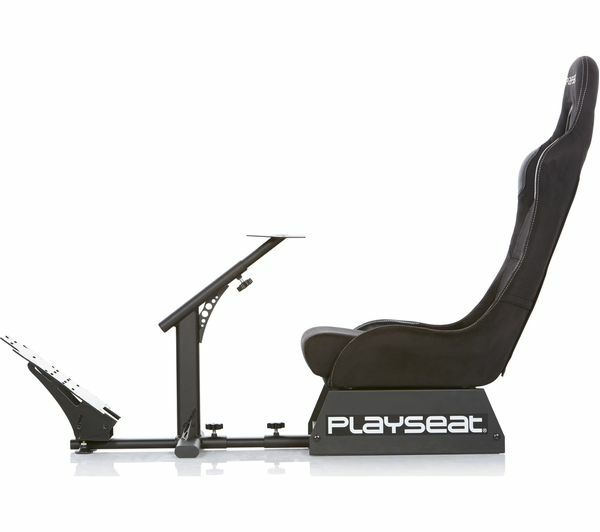 Professional racing drivers use the Evolution Chair to help them learn new circuits. So when you're dicing for the lead on your favourite game you can be sure that you're following in the footsteps of the pros. The foot pedals put you right on the zone. It vibrates slightly through the floor boards.